Sprays on! Wipes off fast and easy! You won't find a faster or easier way to make painted surfaces look their best than Stoner SpeedBead One-Step Quick Wax. Stoner SpeedBead One-Step Quick Wax performs three critical functions necessary to maintain and enhance your vehicle. It cleans, shines, and protects clear coat, lacquer, acrylic, and enamel finishes - in one step! 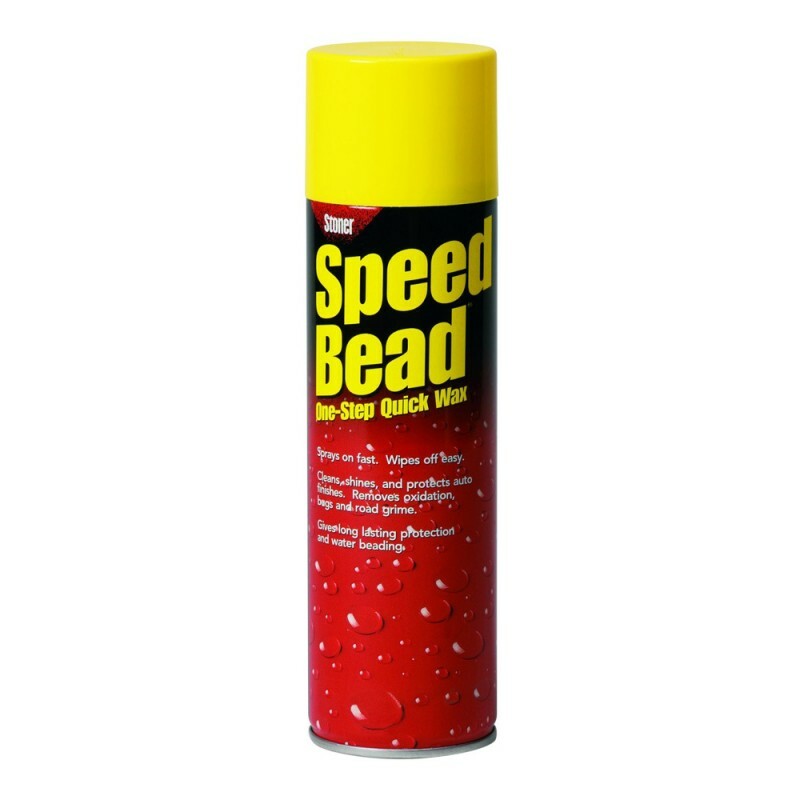 Gentle cleaners in SpeedBead loosen and remove bug remains, sap, road grease, exhaust film, and oily road grime. They even remove minor surface scratches and fresh water spots. SpeedBead's multi-functional waxes produce a high-gloss shine, fills surface voids, and hides tiny blemishes. Synthetic polymers in SpeedBead chemically bond to the surface, providing a durable protective layer and high water beading. 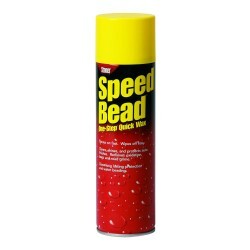 SpeedBead is easy to apply - just spray it on, gently massage surface, and effortlessly wipe it off.